Along with the new shots from Scott Pilgrim vs. 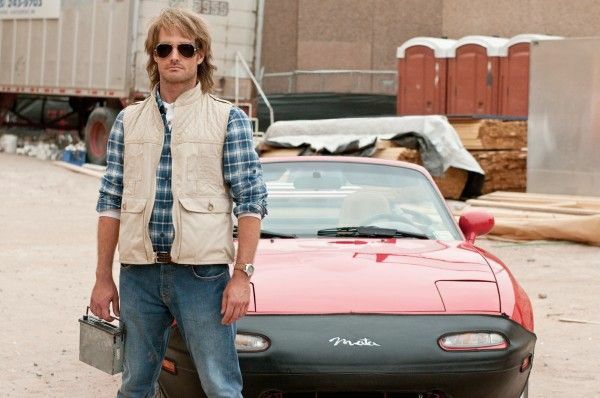 The World and Your Highness, Universal has released the first three official images from Jorma Taccone’s upcoming comedy MacGruber starring Will Forte, Kristen Wiig, Ryan Phillipe, Maya Rudolph, Val Kilmer, and Powers Boothe. That’s right: Powers Boothe. Get excited. While it’s based on a (very short) Saturday Night Live sketch that seems ill-suited for a feature film adaptation, an unnamed source who saw a test screening enjoyed the flick. The reviewer gave some examples of the humor such as MacGruber driving everywhere in a red Miata and a joke where Cunth asks his henchmen why they didn’t capture MacGruber and it was because they didn’t think he was a threat because they thought he was retarded. Also, apparently no one in the movie really pronounces the last letter of “Cunth”. Hit the jump to see all three images along with the official synopsis. MacGruber is slated to hit theaters on April 23rd.